We were very pleased to help out the Hindu Community and The Royal Navy by providing them with a suitable location to lay a marble figure to rest. 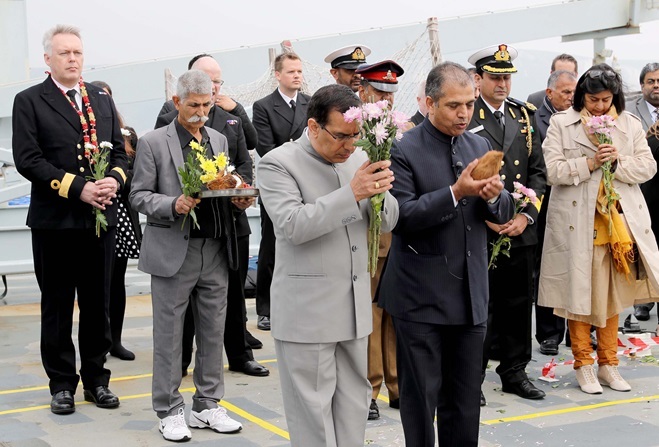 Members of the British Hindu community gathered aboard a Naval Service ship for an historic ceremony at sea. 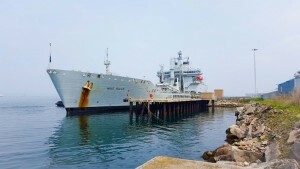 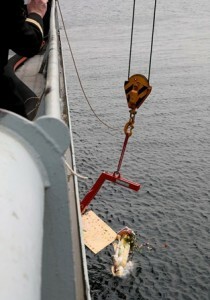 Royal Fleet Auxiliary Wave Ruler hosted members of the Armed Forces Hindu Network and some of the congregation from a Hindu temple in Birmingham for the immersion of an idol – the first time such a ceremony has taken place aboard a Naval Service vessel. 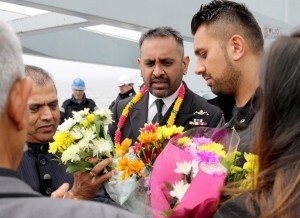 Representatives of Hindu communities throughout England also attended the ceremony, which saw a 5ft tall 800kg white marble figure – Lord Narayana – laid to rest off the Dorset coast.